1. Which Coffee Maker Is Best for Home Use? 3. What Grind of Coffee Does the Coffee Maker Use? 4. How Easy Is the Coffee Maker to Use? 5. How Compatible Is the Process with Multi-Tasking? 6. How Adaptable is the Experience? 7. How Consistent Are the Results? 9. How Does the Coffee Taste? 10. What Is the Extraction Like? 11. Does the Coffee Contain Sediment? 12. How Healthy Is the Coffee? 13. How Caffeinated Is the Coffee? 14. How Much Does the Coffee Maker Produce? 15. How Easy Is the Coffee Maker to Maintain? 16. How Versatile Is the Coffee Maker? 17. How Transportable Is the Coffee Maker? 18. How Many Choices Are Available? 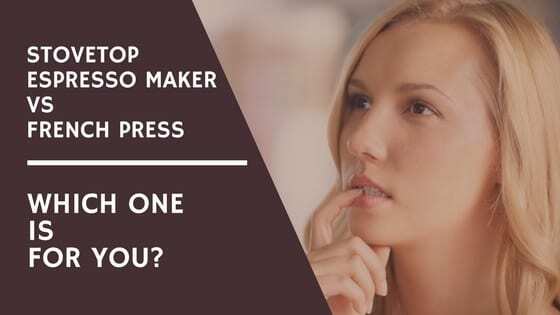 If you want to make an espresso without an espresso machine, you can use a stovetop espresso maker or French press and the result will surprise you! Before the espresso machine appeared on the market and even before it became a common presence in many homes, brewing an espresso on the stovetop with a Moka or using the French press were the two common ways to prepare your best espresso. These two brewing methods work completely different and there are pros and cons which each one. We have identified 18 features that in our opinion make the difference and for each one we have compared the stovetop espresso maker and French press. Moka pots use steam pressure to produce an espresso - like coffee on the stovetop.  Many coffee lovers enjoy the bold, concentrated flavor they deliver. Every moka pot contains three separate chambers. The bottom chamber is filled with water. The central chamber holds the coffee grounds. When the moka pot is heated on the stovetop, steam forces water up through the coffee grounds. As the coffee brews, it rises through a central column to fill the top chamber of the pot. We have a full guide on how to brew an espresso with the stovetop coffee maker if you wish to know more. A French press is a simple coffee maker that steeps coffee grounds for full immersion brewing. Since the French press does not use paper filters, the coffee it produces is often referred to as "unfiltered." A French press resembles a small pitcher with a plunger. The plunger is removed, and coffee grounds are measured into the pitcher. Water is heated separately to about 200 degrees. This can be achieved by boiling water and removing it from the boil for 30-60 seconds. A third of the desired water is added, the mixture is lightly stirred, and after about 30 seconds the rest of the water is poured in. The grounds are then steeped for up to four total minutes before the plunger is inserted and the grounds are forced down to the bottom of the press. If you are interested in brewing an espresso with a French press, we have an article you should read here. Check also out this video on how to use a French press. The simple answer to this question is that it all depends on how you like your coffee! The coffee produced by a moka pot is similar to an espresso, while a French press delivers coffee that is more typical for a drip machine. Both are subtly unique, however – and there are other considerations. The French press is a simpler piece of equipment in itself. However, in order to use it, water must be heated separately. Furthermore, most French press users recommend using only freshly ground coffee beans for the best flavor, so a grinder may be necessary as well. The moka pot requires only the pot itself. Equipment to grind, measure, and tamp the grounds is optional, since regular coffee grounds can be effectively used in a moka pot. General consensus says that a medium grind of coffee, purchased pre-ground, will be adequate for a moka pot. Most say that the French press, however, is best only with a coarse grind of coffee, very freshly ground. The French press is definitely simpler and easier to learn how to use, although it is important to ensure that the water is neither too cool (which produces weak coffee) nor boiling (which will scorch the coffee). The moka pot is a bit more complicated and more prone to respond unfavorably to differences in grind size or incorrect tamping of the grounds. Even experienced moka pot users report unsuccessful brews from time to time. Once the moka pot has begun to steam, the user must listen carefully to ascertain when brewing has stopped. On the other hand, even though the steep time for the French press must be exact (too short will produce weak coffee while too long will create a bitter taste), the French press doesn't require such close attention. The coffee aficionado has a highly-developed ability to recognize subtle differences in flavor. Which coffee pot provides more opportunities for tweaking the characteristics of the brew? The moka pot must be used in a strictly consistent manner in order to produce desirable results. Changes in method tend to ruin the coffee. The French press allows for more adaptations. The coffee grind can be varied slightly to influence the intensity of the brew. The proportion of coffee grounds used per unit of water might be changed. The steep time could be modified. Even the temperature of the water can be adjusted a bit. Since the French press offers more adaptability, one might worry that it would fail to provide consistent results. However, regular users of both the French press and the moka pot usually say that they experience more consistent results with their French press. This is because the moka pot requires more skillful use in order to achieve the best brew. The French press is more foolproof. Water must be boiled in both instances. Once the water is boiling inside the moka pot, it brews quickly. Conversely, the French press must be given about four minutes to steep. Stovetop espresso is bold, potent, and intense. Coffee from a French press is rich and more full-bodied but milder in taste. Extraction refers to how much flavor has been distilled from the coffee grounds. The moka pot can tend toward under-extraction if not used with skill, resulting in a weak, disappointing espresso. Coffee from the French press, contrariwise, can tend toward bitterness and acidity since steeping can lead to over-extraction. Coffee from a French press is more likely to contain sediment. Coarser grounds are necessary to prevent sediment from slipping through the filter. One good rule of thumb is to notice how difficult it is to depress the plunger. If it goes down without any resistance, the grind is probably a little too coarse. If it's hard to push down on the plunger, the grind might be too fine. Since the French press steeps a coarser grind of coffee, it tends to contain more natural oils. Although this is great for the taste, it also indicates a higher cafestol content, which could lead to increased levels of cholesterol. While the French press delivers coffee with more natural oils, the moka pot produces more highly concentrated coffee. Stovetop espresso therefore contains a greater proportion of caffeine if it is consumed straight. Moka pots supply one or two small, demitasse "shots" of espresso. French presses come in various size choices which provide true 8 oz. cups of coffee. The French press is definitely easier to clean and maintain than the more complicated moka pot. The moka pot also requires a replacement of the safety seal about every six months. The moka pot makes – espresso. The French press can be used for a variety of coffees or even for tea. Although the moka pot can be used on stovetops or potentially even over a campfire, the French press is even more transportable. The French press can be used absolutely anywhere that water heated to 200° can be obtained. There are many brands and versions of both coffee makers. Moka pots come in less expensive aluminum or higher-quality stainless steel. French presses may be stainless steel, glass, plastic, or even insulated. The coffee makers are comparable in cost. Begin by thinking about which type of coffee you really want to brew. Remember that although the moka pot will dispense only a coffee similar to espresso, this can be "watered down" to make Americanos or used with other ingredients to create macchiatos and various coffee delights. Consider the other aspects of both coffee makers and decide which are of greatest priority to you. Since the moka pot and the French press indubitably produce two distinct types of coffee, many coffee lovers choose to have both on hand in order to fulfill the mood of the moment. If you own one or both of these coffee makers, please join the discussion by letting us know about their pros and cons in the comment section below.